Home » News » Proud to be an award-winning builder! 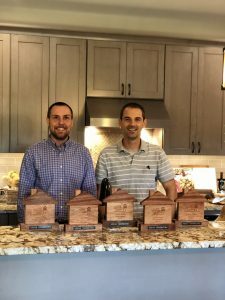 Kodiak Construction is proud to be recognized by the Saratoga Builders Association and 2018 Showcase of Homes. Come visit our award-winning home at 2 Moss Creek in Middle Grove during this year’s Saratoga Showcase of Homes. There are still a few Showcase of Homes dates left! Tickets can be purchased at the door of your first home. Proceeds benefit Rebuilding Together Saratoga County and Habitat For Humanity Northern Saratoga, Warren and Washington Counties. Come visit us on September 22-23 and September 29-30.